Importance of High Quality Audio in Events - QProductions Inc.
Sound is a corner stone of a successful event. If attendees cant hear your content, or they are distracted by audio glitches – it’s game over. One of the best ways to guarantee technically-sound audio is to work with a company trained in the latest technology. 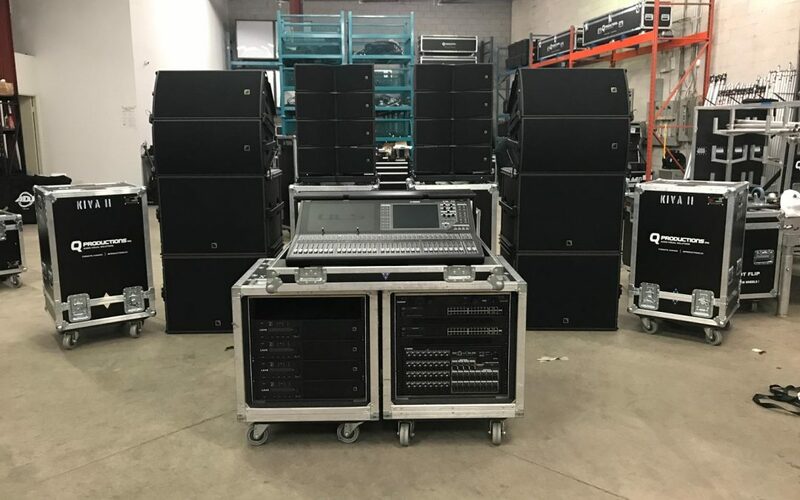 At Q Productions we use audio-mapping to ensure speaker placement and quality guarantee that all attendees despite where they are located within the event will have a similar sound experience. Each venue requires a unique arrangement of audio equipment to create optimal sound. Let’s be honest, most of you are planning your event to have your message heard and to have attendees connect with your core mission, mandate or message. Audio isn’t somewhwere to cut corners if you want to be heard. From speakers to mics to the sound technician, you should want and deserve the best. At Q Productions, we are trained in only the best L’acoustics systems – best known for being innovation leaders in the industry and creating products that produce the highest quality, purest sound. L’acoustics systems are used in most major theatres, convention centers, arenas, amusement parks and more as they are the most trusted audio vendor. We would be proud to bring this level of audio expertise to your next event. We are also proud to offer our clients Yamaha Pro Audio equipment, the industry leader in sonic sound.